We love cake, and we love eating cake from Pillars of Hercules. 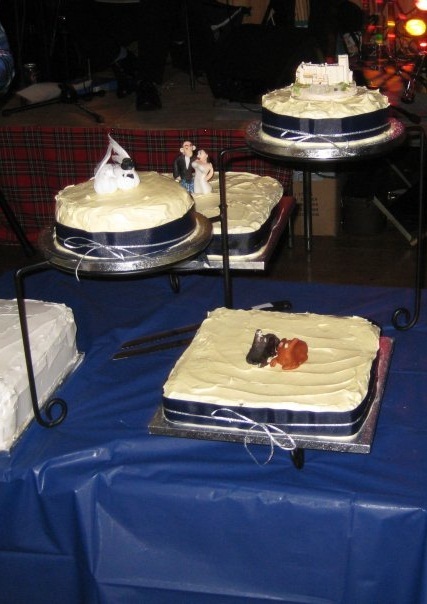 So much so, in fact, that we bought four of them, iced them and they formed out wedding cake! Anyway, this weekend was the first weekend Hubby and I have both had off work, and had free to spend together. So we just had to go out to Pillars and have cake. We used to frequent the shop and cafe much more often, when we lived a 30 minute woodland walk away, but less so now we have to drive (though it is only a few miles!). I had a ludicrously large latte (deliciously foamy!) and the Hummingbird cake (which included pineapple among its yummy ingredients). Hubby had tea and the chocolate orange cake (two of these were in our wedding cake!). We both enjoyed our cakes very much – as ever! We’ve had lunches here too, and they have always been excellent – sandwiches, vege burgers, soups – all organic and delicious. Well worth a wee trip to Fife for lunch and a potter through the nearby woods or about the farm. 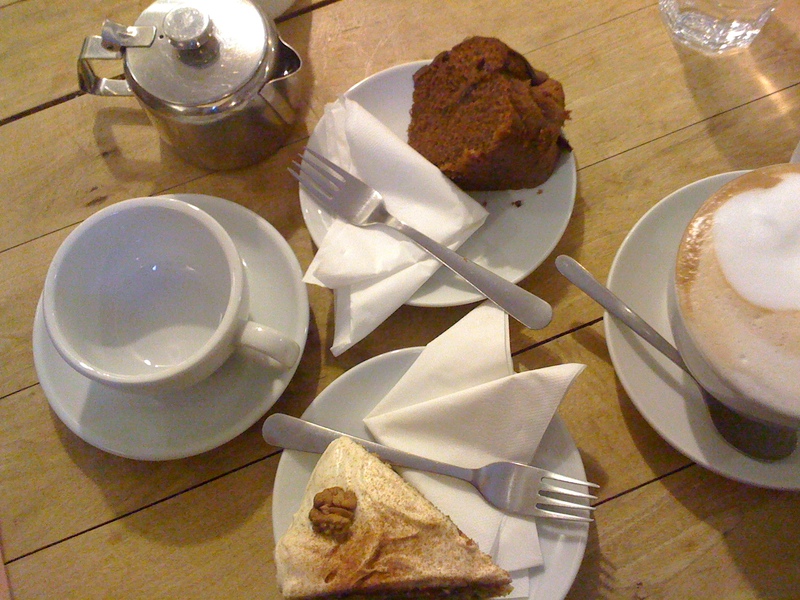 This entry was posted in Cakes, Eating Out and tagged chocolate orange cake, coffee, Fife, Hummingbird cake, latte, Pillars of Hercules, pineapple, tea. Bookmark the permalink.